Relax, unwind & watch the boats go by! Cruise to Newburyport, Plum Island & the ocean from your own PRIVATE DEEP WATER DOCK & RIVER FRONTAGE. 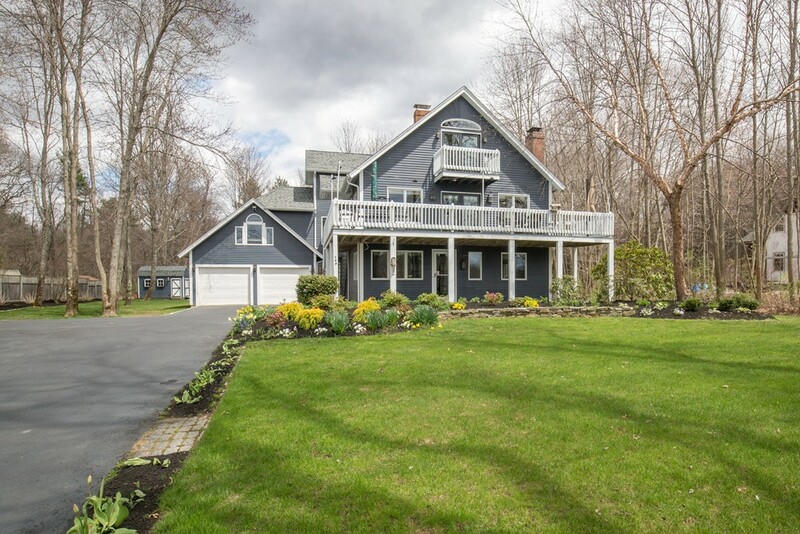 4 bedroom 3 bath classic Contemporary home nestled in the trees on 4+ acres. WATER VIEWS & sunsets from almost every room! Lovingly maintained & updated by 3rd owners. Large decks & patio to enjoy the river views & beautifully landscaped yards. 1st level perfect for IN-LAWS/MULTI-GENERATIONAL LIVING w/ bedroom, 3/4 bath, family room w/ wood stove & office. Entertain in your updated, open kitchen w/ quartz island, granite counters & breakfast bar that opens to fireplaced living room & huge deck overlooking the river. Heavenly vaulted Master Bedroom suite; luxurious vaulted master bath, radiant heated floor, jetted tub, shower, marble double vanity, walk in closet & serene vaulted sitting room w/ slider to Juliette balcony, panoramic river views.Spacious attached 2 CAR GARAGE, large private back yard. Highest & best offers due Tues 5/8 at 4 PM.